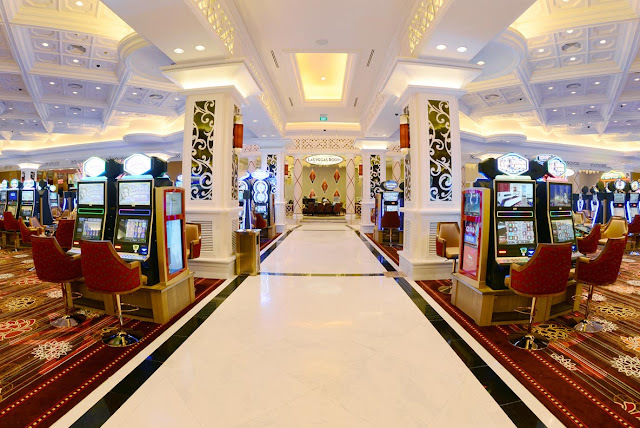 Home > Casino online > In furture, Vietnam is easy to "champion" the casino ! In furture, Vietnam is easy to "champion" the casino ! 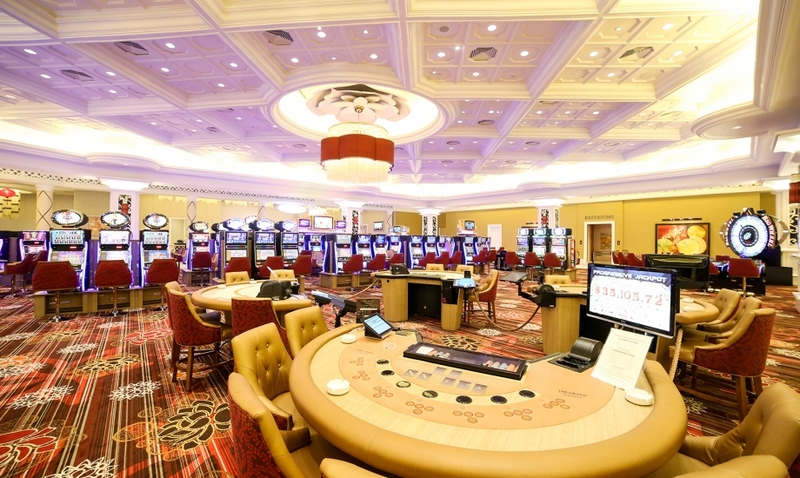 Information from the Ministry of Finance said the draft decree on casino business was considered by the Government to submit to the Standing Committee of the National Assembly for comments at the meeting on April 17. Ministry of Finance said that the country has seven licensed casino. Of these, 6 have been operating in Lao Cai, Quang Ninh, Hai Phong, Da Nang, Ba Ria - Vung Tau. Most of the casinos are small scale, only foreigners and overseas Vietnamese are playing. The casino in South Hoi An (Quang Nam) is not yet in operation as Genting Malaysia Berhard has withdrawn after two years of looking for opportunities with Vinacapital Group. Not abandoning its purpose, late last year, the Chu Lai Open Economic Zone Management Board proposed that the People's Committee of Quang Nam province allow Vinacapital to adjust to a joint venture with its new partner, the Peninsula Pacific Group. The proposed size of the project was reduced from 1,538 ha to 1,000 ha, but the casino increased from 70 to 90. For the Ho Tram Strip (Ba Ria - Vung Tau) project, investors are also anxious to adjust the investment certificate, allowing the casino to be put into operation ahead of schedule and applying for the pilot mechanism. Point for Vietnamese to play. This casino opened in July 2013. According to current regulations, local governments have to take charge of the budget, so looking at the casino as economic leverage is leading to the race to open the casino. Although official casino gaming data has not been officially announced, casino gambling is becoming fierce in Vietnam. Not only localities with special economic zones such as Quang Ninh and Phu Quoc are asking for a casino to attract large investors and tourists to spend money to increase budget revenue that even the Small localities like Vinh Phuc also want to open a casino in Tam Dao. Minister of Planning and Investment Bui Quang Vinh said that in the past only 1 province applied for a casino, now has 10 provinces. According to information from the Ministry of Finance, the casino operating in Vietnam in 2012 reached a total revenue of 930 billion, paid the budget of 254 billion, creating jobs for about 200-500 people / project. At meetings, seminars, investors said Vietnam's appeal to casino owners comes from the advantages of population and geographic location. Vietnam is only several hours away from many capitals in Asia, very close to China where there are many gamblers. Moreover, Vietnam has 90 million people, one third below 30 years old with improved income. Investors in Ho Tram also said that this casino can completely share the casino in Macau. But economists do not share the same view. "It's wrong to take the casino as a lever. If so, why China does not open casinos in the mainland but only in Macau. Thailand has no casino, Singapore in 2011 to open even though the island has a very strong economy, "- Prof. Nguyen Mien evidence. Leverage the economy when attracting foreign direct investment (FDI), according to Professor Nguyen Mai must be technology, high quality human resources; is administrative reform and anti-corruption. "If the 10 provinces that have been approved are probably Vietnam's champions of the casino. Consider the benefits and should not stimulate blood gambling of the people "- Prof. Nguyen Mai puzzled. Title : In furture, Vietnam is easy to "champion" the casino !